Dave is a well-recognized thought leader in B2B services and solutions marketing. For more than 20 years, he has led the way in defining, documenting, and inspiring excellence with the ITSMA global community. Dave oversees all ITSMA strategy, partnerships, and international operations, and guides the ITSMA team in delivering a broad suite of research, education, advisory, and community services to help member companies improve marketing, sales, and business results. Dave helped pioneer the discipline of Account-Based Marketing (ABM) in the early 2000s and is co-author of the book, A Practitioner’s Guide to ABM: Accelerating Growth in Strategic Accounts (Kogan Page, 2017). 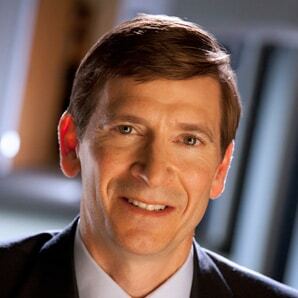 Prior to joining ITSMA in 1995, Dave held senior-level field positions with Oracle Corporation and Apple Computer, responsible for marketing products and services to commercial and government accounts. Earlier, Dave was a senior analyst with The Ledgeway Group, where he authored Ledgeway’s first “Service Trends and Forecast” study. He holds a Bachelor of Arts degree in Economics from Denison University and an MBA from Northwestern University’s Kellogg School, where he concentrated in Marketing and Corporate Strategy. Dave is a former President of the Alcott Toastmasters Club and an alumni interviewer for Kellogg’s MBA program.